A severe burn is not only painful and traumatizing, but it’s extremely stressful to the body. According to a 2012 report published in the “Surgical Clinics of North America,” the increased metabolic response associated with a severe burn surpasses that of any other disease state. A burn patient needs a high-calorie, high-protein diet to promote wound healing, minimize the risk of complications and maintain a normal nutritional level. Calorie needs increase significantly after a burn. The average, healthy adult needs about 1,800 to 2,000 calories per day, but after a burn, this same adult may need at least 2,500 calories. If a burn patient is unable to consume enough food to meet these calorie needs, liquid nutritional supplements may be needed. These supplements should be taken between meals so as not diminish appetite during actual meals. After a burn, the body breaks down muscles to use as energy for the healing process. Protein is also lost through the burn wounds. According to the 2012 report in the “Surgical Clinics of North America,” the breakdown of protein can exceed 150 grams per day. If a burn patient doesn’t consume enough protein to compensate, it can lead to decreased wound healing, loss of muscle mass and decreased immune function. Burn patients require a minimum of 1.5 to 2 grams of protein per kilogram of body weight, which would be approximately 102 to 136 grams of protein per day for a 150-pound man. You can get this amount of protein from 5 ounces of chicken breast, 1/2 cup of almonds, 1 cup of low-fat milk, 4 ounces of salmon and 1 cup of black beans. Carbohydrates should be the main source of energy for burn patients, according to the 2012 report in the “Surgical Clinics of North America.” Burn wounds use glucose for energy, which is provided by carbohydrates. Upping carbohydrate intake will ensure there is enough glucose available to the wounds for healing so that they don’t turn to protein for energy. Instead, the amino acids from protein are spared and used to rebuild muscle instead. Carbohydrates also provide glucose for increased metabolic demands of the body as a whole. Choose healthy sources of carbohydrates, like whole grains, beans, fruits and vegetables. Fat is necessary to provide essential fatty acids for healing and extra calories to compensate for increased metabolic demand, but too much fat can compromise the immune system, making healing more difficult. Fat intake should not exceed 30 percent of calories. Fat intake should be around 83 grams if you are consuming 2,500 calories per day. 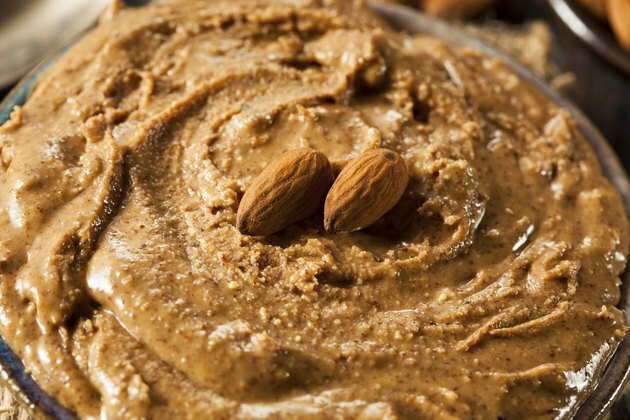 Choose healthy, unsaturated fats like nuts, nut butters, avocados, seeds, olive oil and fish. Two tablespoons of olive oil, one-half of an avocado, 1/2 cup of almonds and 4 ounces of salmon provide enough fat for the day. In addition to increased calorie and protein needs, a burn patient may need additional vitamins and minerals -- specifically iron, zinc, selenium and vitamins A, C and D. Low levels of these vitamins and minerals have been linked to decreased wound healing and suppression of the immune system. Beef, spinach and nuts provide zinc, iron and selenium. Brazil nuts are especially high in selenium. Sweet potatoes and carrots are high in vitamin A, and you can meet vitamin D needs through consumption of swordfish, salmon and fortified milk and orange juice. Citrus fruits, berries, cantaloupe and kiwi fruit provide vitamin C.
Surgical Clinics of North America: What, How and How Much Should Burn Patients Be Fed? How Many Calories Should a 120-Pound Woman Consume Daily?